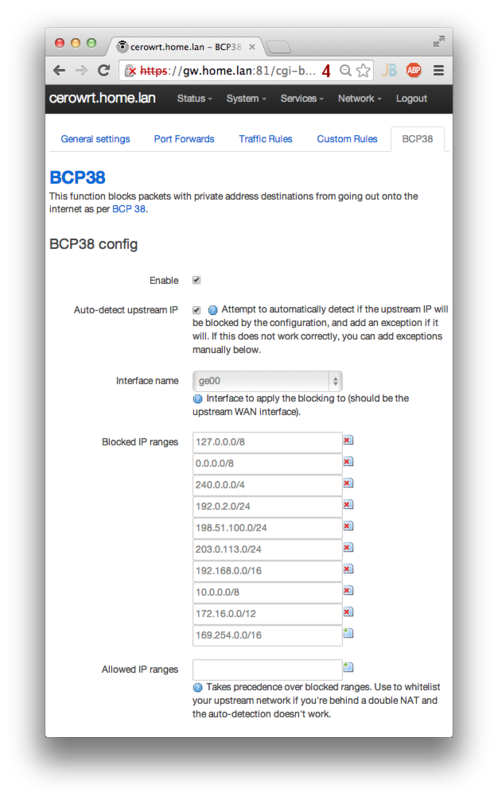 BCP38 prevents devices on the LAN side of the CeroWrt from spoofing source addresses. By default, CeroWrt filters out spoofed addresses on packets before they are sent into the Internet. The implementation goes to some lengths to detect the multiple-router case, so that you can have a primary and secondary router in your home. The image below shows the GUI in the CeroWrt web interface. Find it from the Network > Firewall > BCP38 tab.